How Can We Help You To Do Fundraising? There’s nothing like the feeling to give back to your community. But with so many events and charity organizations out there, how can you attract more clients? What can you offer them special to distinguish your organization from others? For many years, our community of artists have been created one of a kind, hand painted silk scarves which helped many organizations to raise thousands of dollars. You can ask us to create something special for your event. Our artists can create silk scarves especially for your event! You will be unique as no one else will have similar scarves like yours. No minimum order is required. We only ask you to let us know from time your needs so we can create your scarves in time for your event. 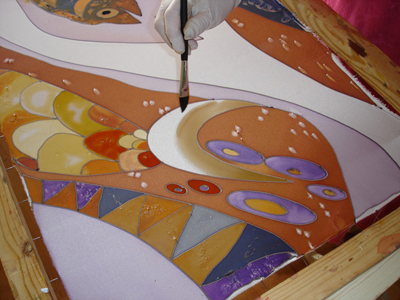 Our artists need time to produce your special silk scarves! Additionally to silk scarves, which are a great start for your events, we also make silk blouses, silk tunics and silk dresses. For more details, contact us at info@womenclothingtoday.com or 1-800-275-3165 and we will be happy to assist you!